In a mere five months, new Republican Gov. 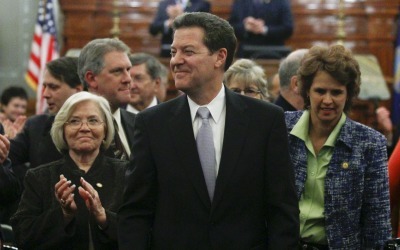 Sam Brownback and likeminded lawmakers have recast the social and fiscal landscape of Kansas and made the state a laboratory for conservative ideas. TOPEKA, Kan. (AP) — For decades in Kansas, a delicate political balance kept the state on a moderate path even as other states in the region turned to the right. Conservatives could cut taxes in flush times. But Democrats and centrist Republicans still freed up money for highways and schools, and a loose coalition worked out compromises.